The spectacular Taj Umaid Bhawan Palace – fit for a maharaja – has taken the top spot in TripAdvisor’s 2016 Travelers’ Choice Awards! 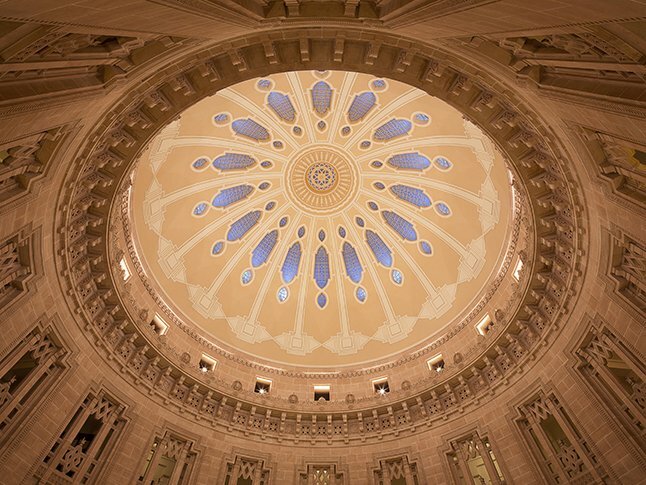 Perched high above the desert city of Jodhpur, the Umaid Bhawan Palace is the last of the great palaces of India. The dazzling Rajasthani palace was built over 15 years between 1928 and 1943 after its namesake, the Maharaja Umaid Singh ji, grandfather of the present Maharaja. The palace was intended to replace Mehrangarh Fort as the symbol of a new Jodhpur and to give employment to the people of Mewar during a period of great drought and famine. 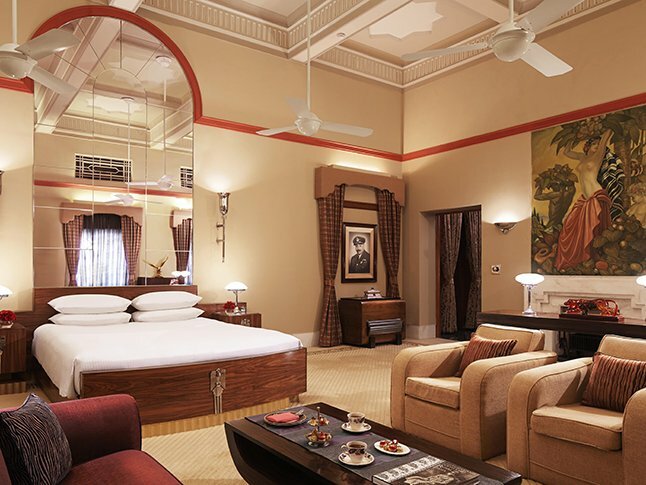 The palatial hotel is literally fit for an Indian king, as the sprawling property is the principal residence of the Jodhpur royal family even today. 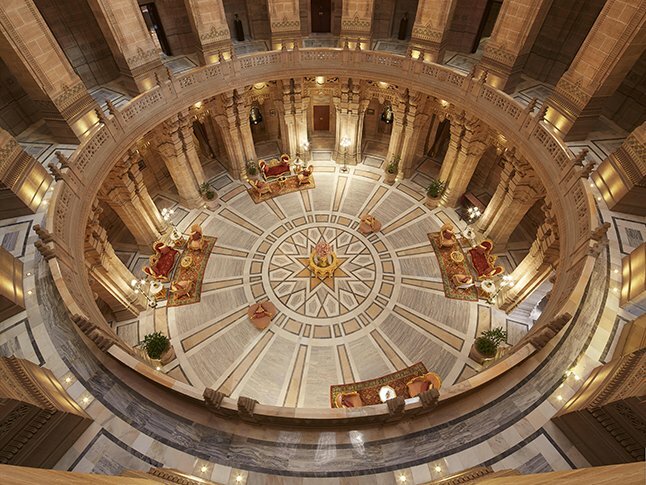 With a commanding view of the ‘Blue City’, this Art Deco palace used to be one of the largest private residencies in the world, but is now divided into the Maharaja’s private residence, a beautiful museum, and the luxurious hotel. Designed by renowned Edwardian architect Henry Lanchester, the architectural style combines Art Deco and Eastern influences. 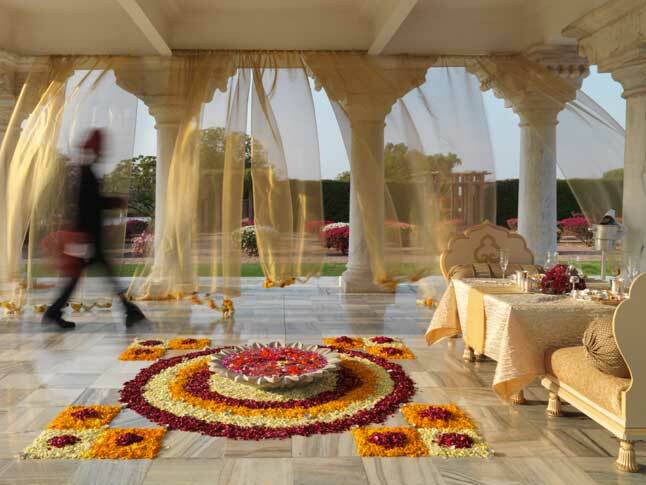 From the moment you arrive in the reception area the ambiance is grand, with a majestic cupola staggering 105 feet above you and rows of columns and towers are reminiscent of the Rajput era. 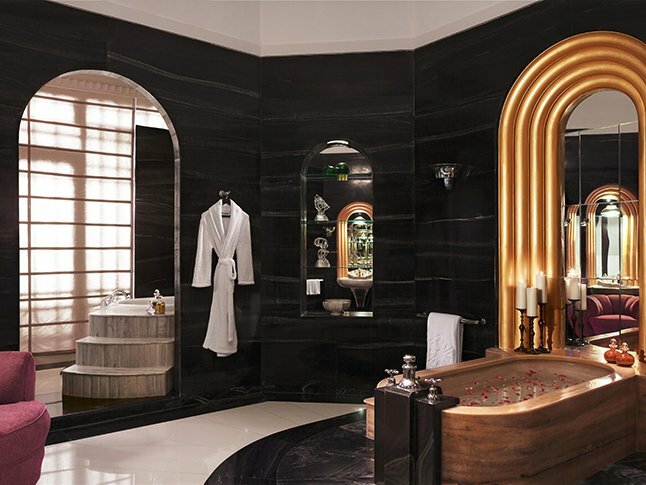 Boasting 64 lavish rooms and suites, the opulence is enough to make even the most discerning of guests nod their approval, with its shiny marble flooring, grand staircases, live peacocks, lavish furnishings and lush palace gardens. We’d recommend trying tea out on the vast lawns, or a drink in the bar complete with hunting trophies, to imagine that you’ve stepped back in time. 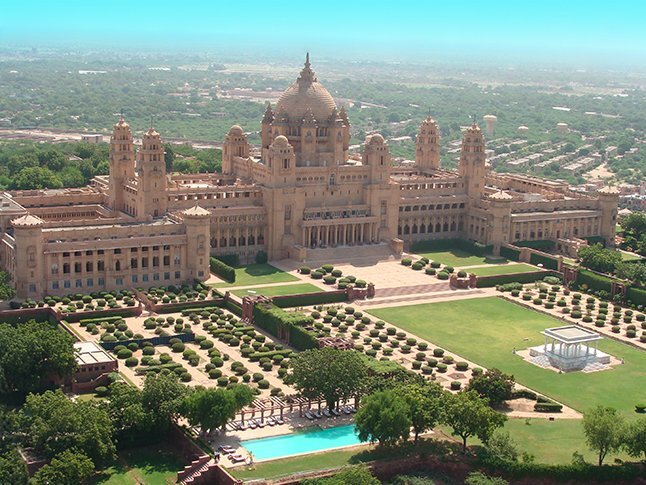 Jodhpur is a must-see when visiting Rajasthan, and can easily be included in one of our tailor-made tours of the region. 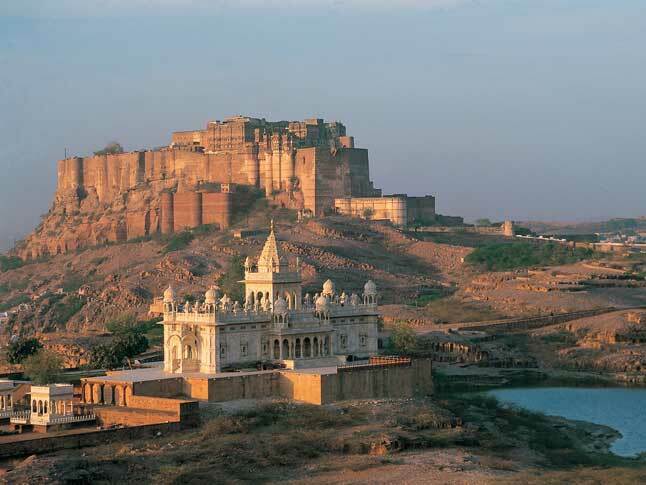 Most itineraries place Jodhpur between Jaipur and Udaipur, though Jodhpur is also a gateway to the golden city of Jaisalmer. During your visit to Jodhpur, our passionate and knowledgeable guide will introduce you to the splendours of the Blue City: visit the majestic Mehrangarh Fort, take a walking tour through the labyrinthine lanes of the Old City, and head out to the dusty outskirts on a Jeep safari to visit a Bishnoi village. 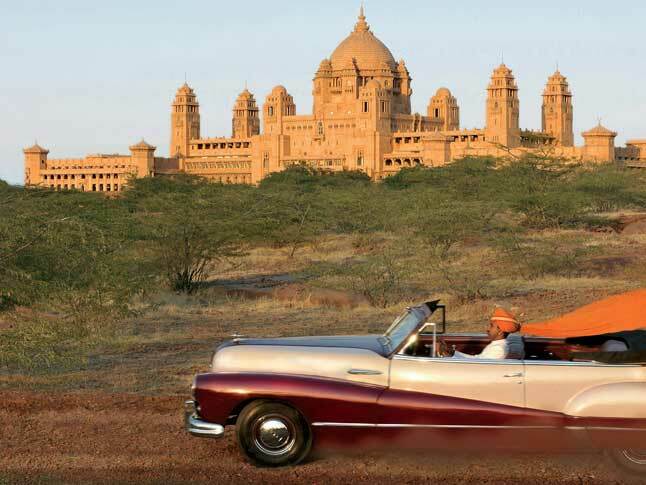 If you’d like to include a stay at the Umaid Bhawan Palace on your upcoming trip to Rajasthan, please do get in touch – we’d be delighted to assist with the planning of your private Rajasthan tour. Exploring Rajasthan with Indian Excursions, whilst staying in the Taj’s palace hotels, is a winning combination for the ultimate in luxury.